+ $49 for 1 site. 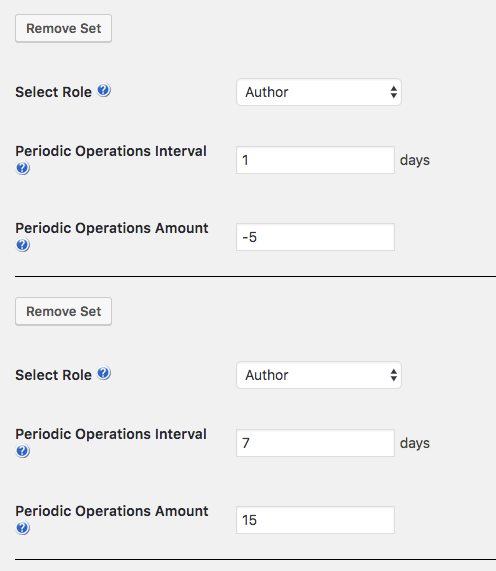 The CM MicroPayments Group Actions Add-on for WordPress supports granting or subtracting a fixed amount every defined number of days based on the user role or group. You need to have the CM MicroPayment Platform plugin installed before using this add-on. To learn more about this add-on, check its guide. 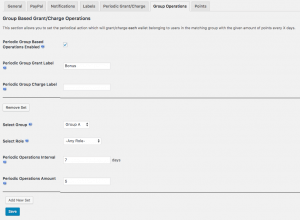 Flexible Rules – Periodically add or subtract points from multiple users based on groups and/or roles. 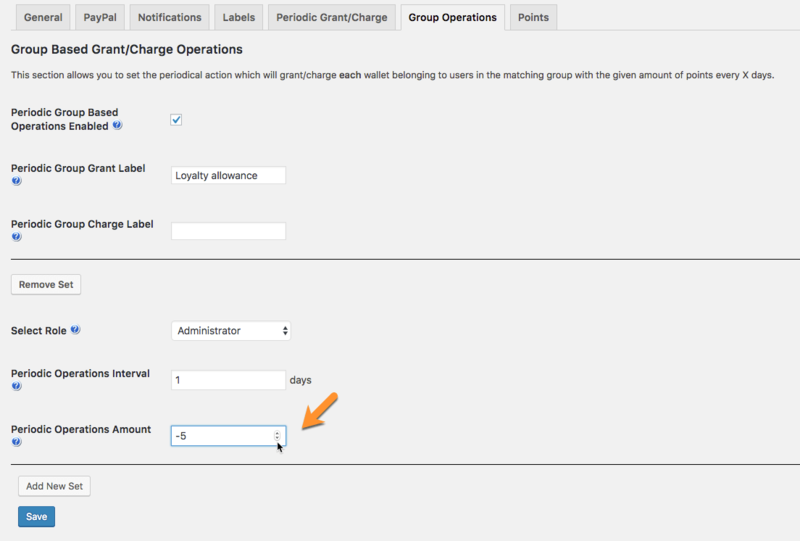 You can set the amount of points of the transaction and choose the number of days after which each action should repeat. 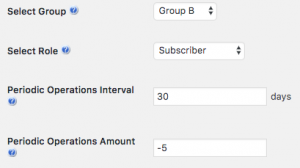 Multiple Operations – Create automatic rules for as many groups as needed. Groups can be involved in multiple rules. Get Personal – Two labels are available to personalize the operations, making it easy to translate the content. 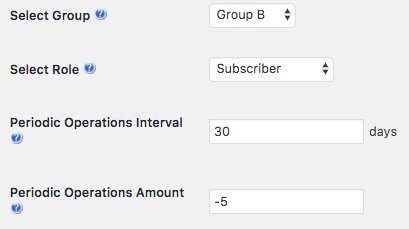 Can this add-on be used to subtract points from a user group on an interval? Yes, negative values can be applied to groups on a chosen interval. This can be a means by which you charge users for a service such as a subscription or a tax on points for a game. 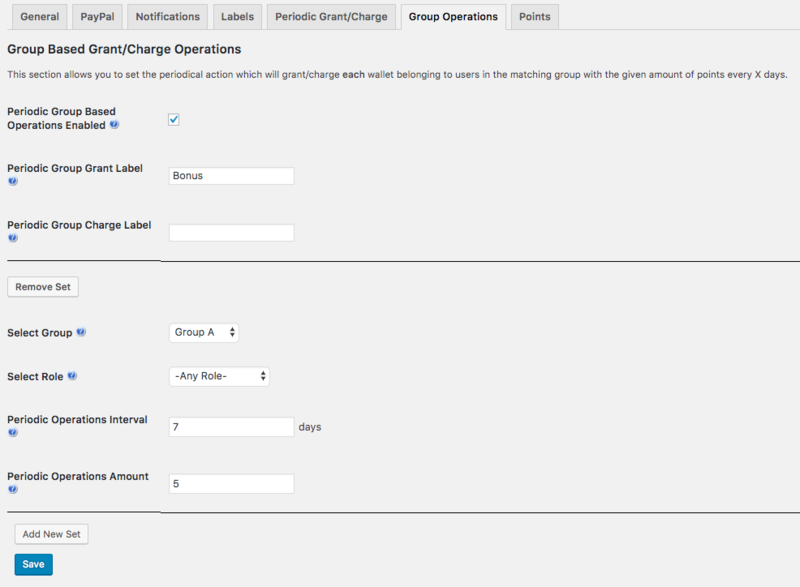 Can I change the label that is applied when a user group is charged a certain amount? Yes. 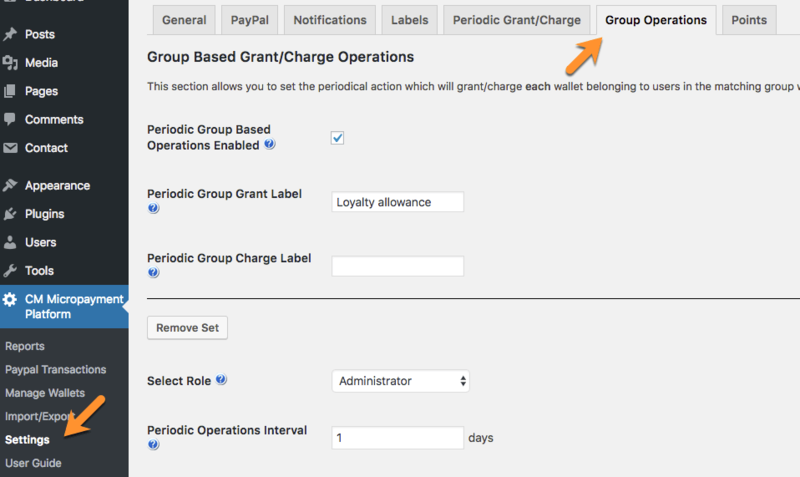 You can set what label is applied when users are charged via the group actions add-on through the configuration settings (CM Micropayment Platform → Settings → Group Operations). How many group actions sets can be created with the add-on? There is no upper limit to the number of group actions sets that you can create, it is only limited by the number of groups or user roles that you have on your site. What kind of groups are you able to apply group actions to? The “groups” we refer to are User Roles on the site. 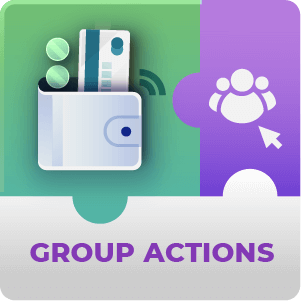 You can choose a user role to apply the group actions to or you can choose to apply them to All User Roles. Can I create more than one group actions set for the same user group? 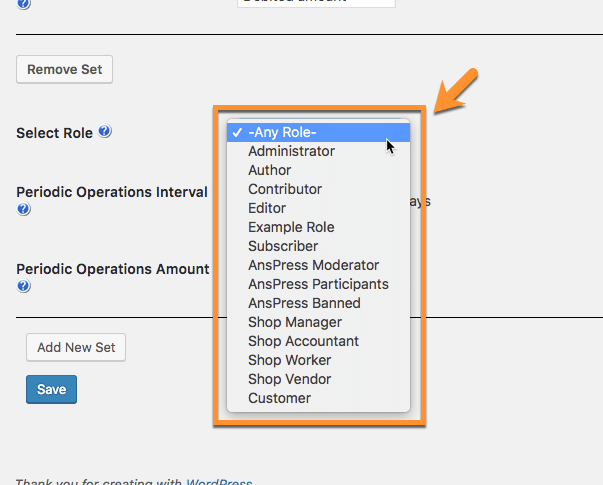 First you need to create a User Group set selecting the user role for the set. 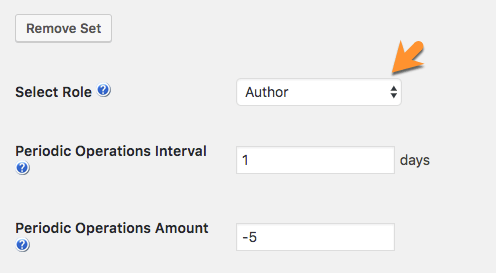 Then set the interval (how often to apply points) and the amount (the number of points to award / charge). You should also double check that Periodic Group Based Operations are enabled.